We Drink Your Milkshake! : HARRY POTTER director David Yates to adapt all-new, independent DOCTOR WHO movie for the big screen. HARRY POTTER director David Yates to adapt all-new, independent DOCTOR WHO movie for the big screen. This is an interesting bit of news that seemingly came out of nowhere. But thanks to Variety, we have news that 4-time HARRY POTTER director David Yates will be doing a DOCTOR WHO movie for BBC. 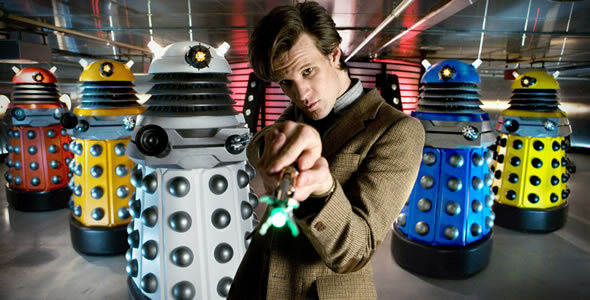 According to the director, this movie will be independent of the highly popular BBC series and its continuity, stating that "(Former and current showrunners)Russell T. Davies and then Steven Moffat have done their own transformations, which were fantastic, but we have to put that aside and start from scratch." So all of the fanboys and girls hoping to see 2 hours of timey-wimey-wibbly-wobbly David Tennant or Matt Smith action will be sorely disappointed. To give non-Who fans a bit of a background, DOCTOR WHO is the long-running BBC TV show about a Time Lord, a being that can travel through time and space, called The Doctor who runs around the galaxy having adventures. One of his powers is regeneration, where in order not to die, he changes his appearance and his mannerisms, which means 11 actors have portrayed The Doctor since the show began. He usually has "companions" which range from young ladies to a married couple and even relatives. And just like any other hero, he has an iconic collection of villains such as the Daleks, Cybermen, and the Weeping Angels. 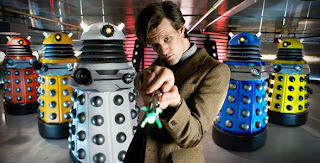 The show originally ran from 1963 to 1989 then a TV movie happened in 1996 before finally being rebooted successfully by Russell T. Davies in 2005 and continuing under Steven Moffat. The 2005 incarnation has become wildly successful and has brought a bunch of random nerds to become obsessed with the show like I have been. In terms of the upcoming movie, I see this as both exciting and disappointing. Obviously, as a new Doctor Who fan, I'm excited for more media to come out, specially on a grander scale. I understand that David Yates probably wants to create his own version of The Doctor, but part of me feels that this continuity, the reboot that it is, has built up a lot of great history and characters in the past 6 years. To have a different Doctor is more than understandable as is the nature of the show, but to completely disregard the continuity and history seems a bit of a bummer to me. Fans of Matt Smith should not fret, as Yates has said that they'll take two to three years to finish writing this movie because they want to create a great story. What's interesting is that if this is a complete reboot, then the 11th and possibly 12th Doctor have very limited lives. I'm curious to see how this will affect the stories and the writing of the next season. This also brings me to wonder how the budget of the show will be affected before or after the release of this movie. BBC is known for cutting costs and has directly affected the budget of DOCTOR WHO in more than one occasion. It could be that depending on the success of the movie, the budget will be greatly increased in the years to come. But that's all speculation at this point. So what do you guys think? Is a complete reboot the way to go? Or would you rather see a big-screen version of the current Doctor?